Last night was the second time we saw the Will of the Emperor in normal mode. It was a pretty easy fight, and we downed it quickly! No gear from this, although last night while clearing through Elegon I got a raid world drop trinket, Jade Magistrate Figurine (replacing a Coren Direbrew DPS trinket, actually), and necklace, Zian’s Choker of Coalesced Shadow from The Spirit Kings. You can watch our kill above! I hope we didn’t chatter too much or say anything stupid. 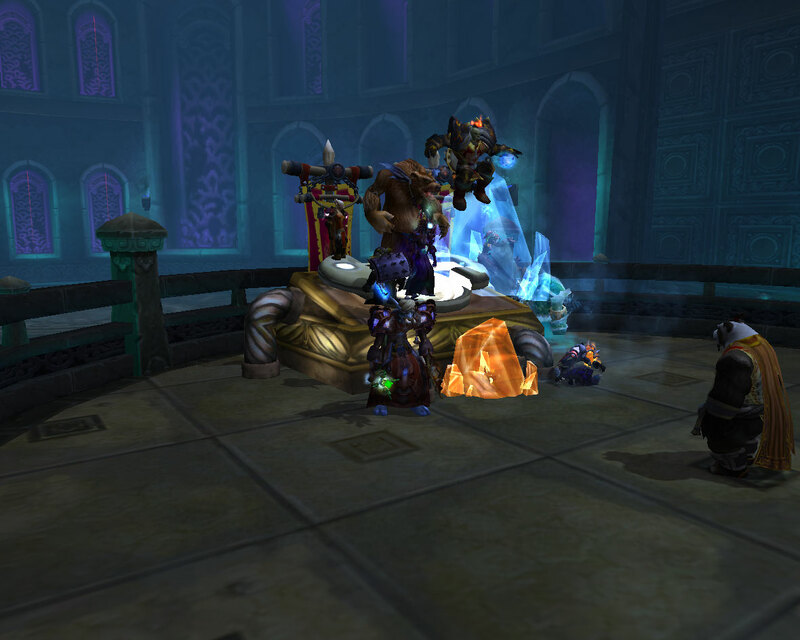 Last night was then our first time entering Heart of Fear (not counting Raid Finder). 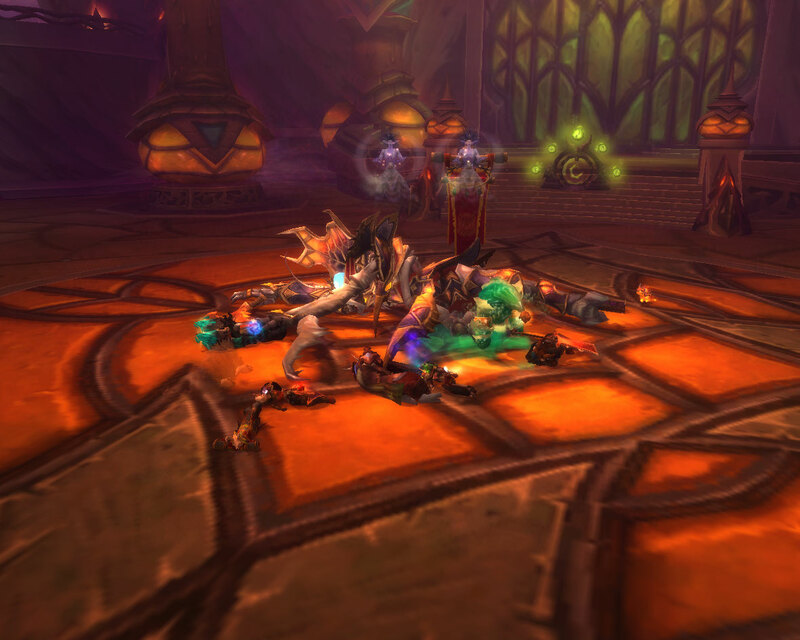 On our first attempt of Imperial Vizier Zor’lok, he glitched and didn’t despawn after our wipe. We ended up resetting the raid, which means we had to clear trash again. Bad news, right? Wrong! I got a raid world drop, Gleaming Moth Cuffs. They replaced rare quality wrists, so this was a huge upgrade. The fight wasn’t too bad at all! Again, you can see our kill video above. I apologize again if we say anything stupid… such as me thinking my raid leader gave me loot when it was actually from the Elder Charm of Good Fortune I stupidly used. But I did win Gloves of Grasping Claws! I also used valor to upgrade my Kri’tak, Imperial Scepter of the Swarm (raid finder) once. Lots of good upgrades this week. You can see our World of Logs report here.